Why don't women propose to men? WASHINGTON -- Steve Paska waited two weeks for Washington's famously fickle cherry blossoms to emerge, then spent two hours searching for the perfect spot beneath the canopy of fluff. He lured his girlfriend there on the pretext of buying a painting of the blooms. 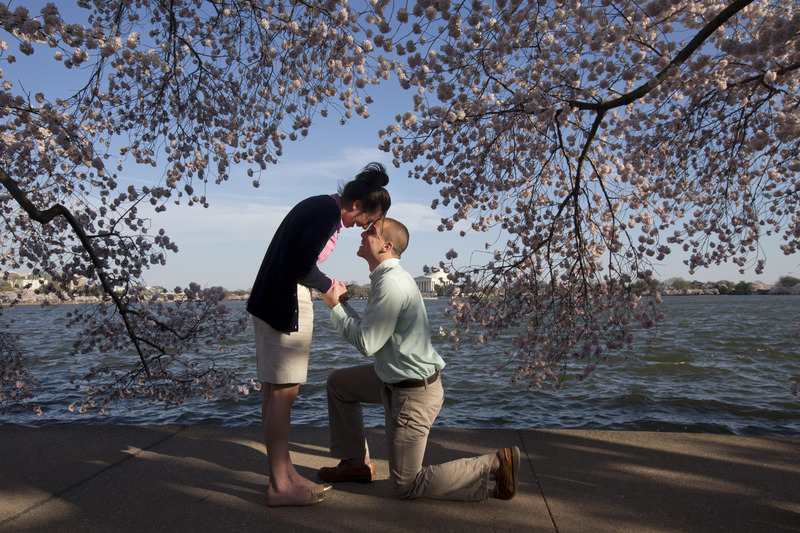 Then he surprised her by dropping to one knee and proposing. While Paska, 26, believes female proposals are OK - after all, one of his sisters proposed to her boyfriend - he wanted to declare his love and dedication the traditional way. A few clients were lesbians. Only one so far was a woman asking a man - a boyfriend whose proposal she had turned down previously.